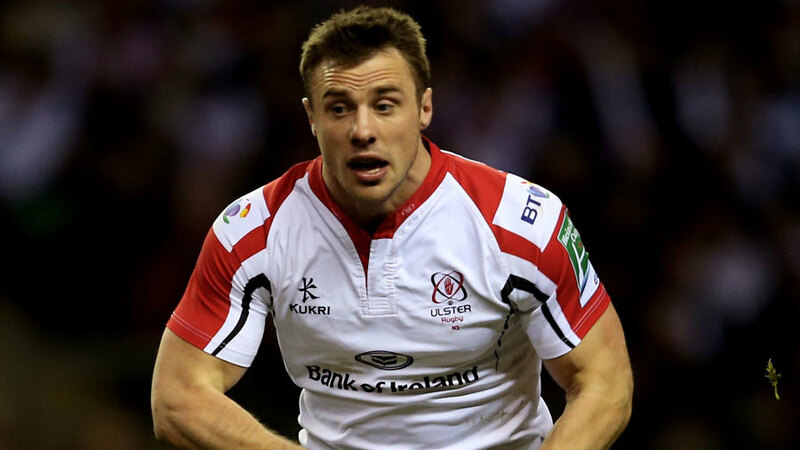 Wing Tommy Bowe has signed a new deal with the IRFU and Ulster keeping him in Ireland until June 2018. Bowe has been capped 55 times by Ireland and five by the British and Irish Lions, playing all three Tests in South Africa in 2009 and two in Australia in 2013. "I am delighted to have signed a new contract with the IRFU and Ulster," said Bowe. "It is an exciting time for both the province and the national team and I hope to play a part in achieving success on both fronts in the years to come." Bowe began his domestic career with Ulster in 2004 and has made 124 appearances for the province, scoring 48 tries. In 2008 he switched to the Ospreys, before returning to Ulster ahead of the 2012-13 season. "It is a great boost to the province that Tommy has signed a new IRFU contract which keeps him at Ulster," said Ulster CEO Shane Logan. "We have seen what he brings to the squad both on and off the pitch and he is one of the players that makes Ulster Rugby such an exciting place to be." "We are delighted that Tommy has committed his future to Ulster and Ireland for the next three years," added IRFU Performance Director David Nucifora. "Tommy has proven his value to Irish rugby over the years with stand-out performances for both Ulster and Ireland." Bowe's new contract is the second piece of good new for the IRFU this week, after Rob Kearney signed a new contract with Ireland and Leinster on Tuesday, also until 2018.